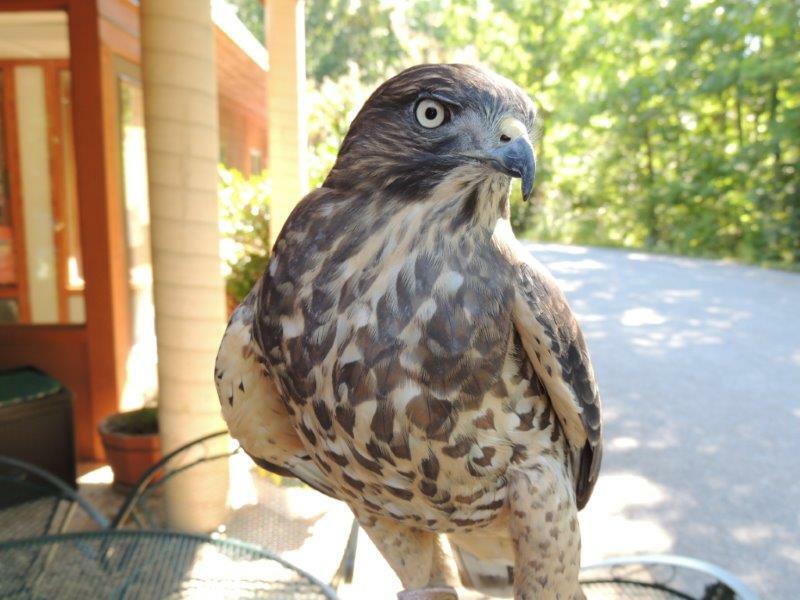 Grayson was found as a young bird in June of 2010 in Grayson County, Virginia. She had fallen out of the nest and suffered a fractured right humerus, as well as injury to her patagium – the skin covering the leading edge of the wing. Grayson was initially taken to a local permitted wildlife rehabilitator, who stabilized the injury and then brought her to the Wildlife Center. WCV veterinarians sutured the hole in the patagium and bandaged the wing; however, the fracture did not heal completely straight, and scarring on the patagium left Grayson unable to fully extend her wing.